summer early chamber music on period instruments in Annapolis. All concerts take place at 7:30 PM at St. Anne's Episcopal Church at Church Circle in Annapolis. Performances are to be repeated in Washington, DC and in Baltimore. 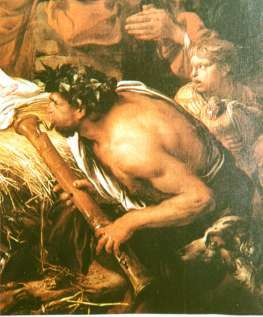 which develops, strengthens, and celebrates early music and historically informed performance in North America. 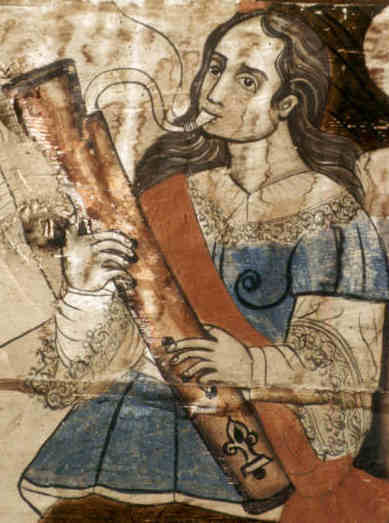 The elusive dulcian and the rarely heard renaissance transverse flute offer many essential qualities, scarcely to be experienced today, that were sacrificed as the bassoon and flute evolved to suit later 17th-century expectations. Their sweetness, warmth, and pinpoint flexibility enable these renaissance wind instruments to convey a powerful emotional impact. These works for soprano and bass instruments together with an accompanying theorbo (a long-necked lute) by Frescobaldi, Legrenzi, Picchi, Bassano, Cima and Selma y Salaverde are not otherwise to be heard on these instruments today and we hope you'll join us. Girolamo Frescobaldi (1583-1643) ~ Canzona Quarta, a due. Canto, e Basso. 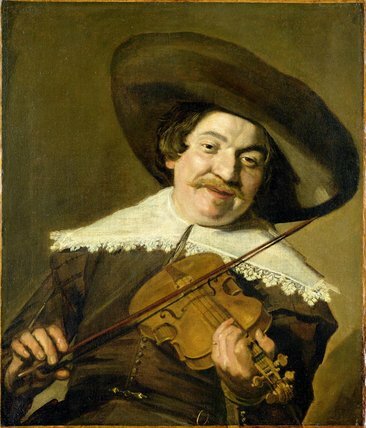 This program offers an in-depth exploration of the rarely-heard Italian four-part canzona, inspired by French and Flemish chansons from several decades earlier, which blossomed in print from 1582 to 1628 concurrently with increasing activity among violin makers and players in Milan, Brescia and Cremona, and representing the transitional mannerist style which bridged the renaissance and baroque styles in music. 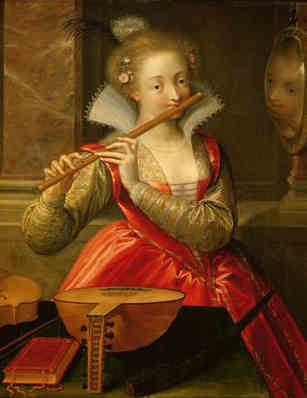 Baroque winds, notably the transverse flute and bassoon, experienced radical modifications and appeared only very late in the 17th century. 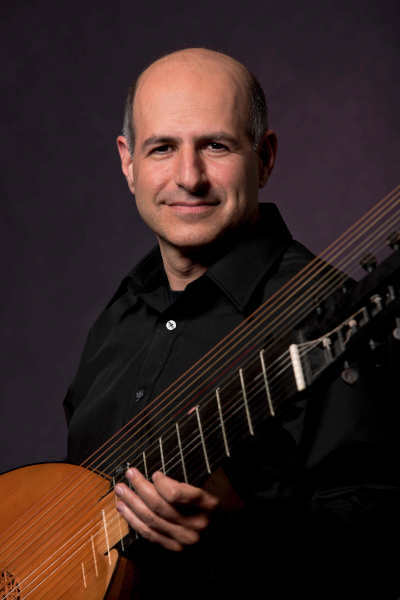 This program provides an opportunity to experience the convergence of the renaissance and the baroque in the context of an evolving musical landscape, which differed greatly in France and Italy. French songs for three and four parts by Crecquillon, Briault, Busnoys and Boyvin, and Italian four-part canzonas by Cima, Biumi, Canale, Buonamente, Maschera, Ardemanio are to be included in the program. Johann Mattheson's "Der Brauchbare Virtuoso" ("The Able Virtuoso"), published in Hamburg in 1720, sets the tone for this colorful and contrasting program of Italian, French and German trio sonatas illustrating regional modes of composition and performance that were quite distinct in the 18th century, and the dialogue between them. Music by Italians Archangelo Corelli and Pietro Locatelli, French composers Antoine Dornel and Joseph Bodin de Boismortier, and Germans Johann Sebastian Bach and Johann Mattheson will be featured in this virtuoso survey of the great variety of musical style in early 18th century Europe. Bach’s trio sonata, which sandwiches a slow movement from one of his flute sonata slow movements between two movements of an organ trio sonata, exists in a relatively unknown 18th century manuscript and most likely represents a clever transcription although, as Bach frequently re-purposed earlier works, it could well be a copy of the original version from which the works with which we are familiar today originated. Trios for flute, violin and cello from the time of Mozart and Haydn, including selections from the Library of Congress by Pietro Florio and Joseph Tacet. Peabody Conservatory of Music early music program directors violinist Risa Browder and cellist John Moran are recent recipients of the 2018 Early Music America Thomas Binkley Award. 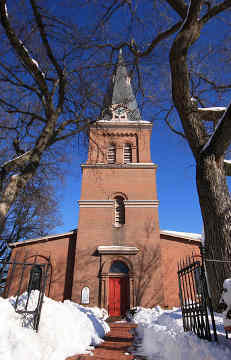 Programs take place at St. Anne's Church at Church Circle. The suggested (pay-as-you-can) donation is $20 or $25. Students 18 years of age and under are free. Advance tickets are available at chcmf-annapolis.bpt.me and at the door. 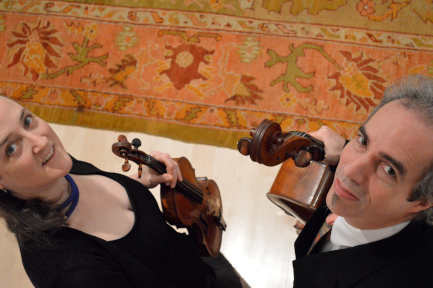 Now in its 18th year, the Capitol Hill Chamber Music Festival has since 2000 presented chamber music by familiar as well as little-known composers from the Renaissance through the present on Capitol Hill in period instrument performances which intend to shed new light upon early performance practice as well as contemporary works. 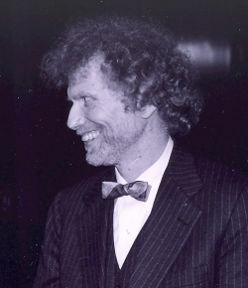 Unpublished works from the Library of Congress are given particular attention, and many have received their modern day premieres during these concerts, in addition to premieres of works by Slovenian composers. The Capitol Hill Chamber Music Festival is a nonprofit corporation in the District of Columbia. updated on August 1, 2018. 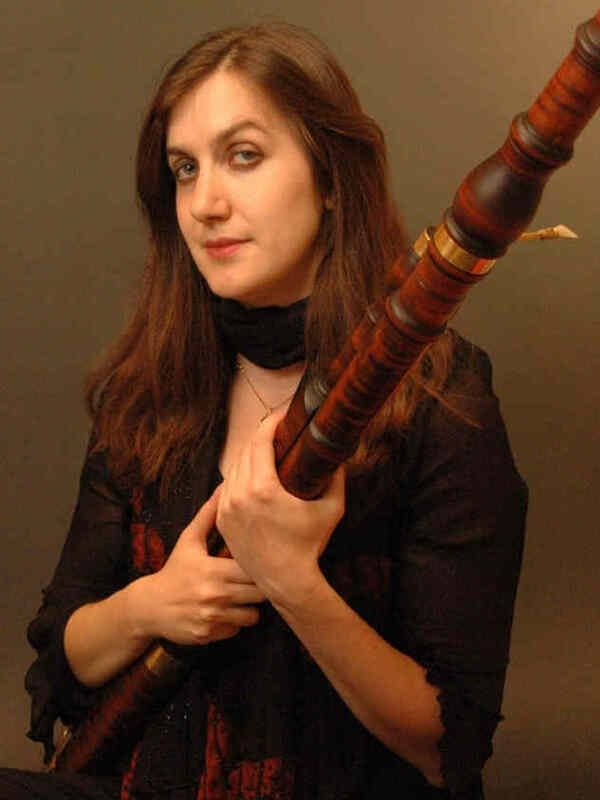 Baroque bassoonist ANNA MARSH plays Renaissance, Baroque, Classical and Modern double‐reeds and recorders. Originally from Tacoma, WA, Anna appears regularly with Opera Lafayette (DC), Tempesta di Mare (Philadelphia), Ensemble Caprice (Montreal), Clarion Society (NYC), Arion Orchestre Baroque (Montreal), Tafelmusik (Toronto), Seattle Baroque Orchestra, Washington Bach Consort (DC), and Musica Angelica (LA), among others. 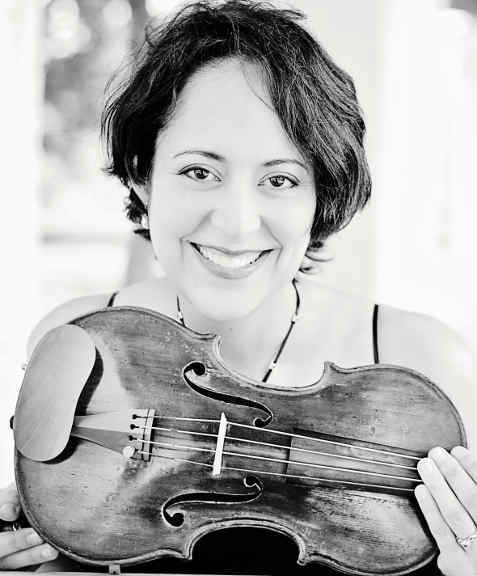 She has been the featured soloist with the Foundling Orchestra with Marion Verbruggen, Arion Orchestre Baroque, The Buxtehude Consort, The Dryden Ensemble, The Indiana University Baroque Orchestra and others. She co‐directs Ensemble Lipzodes and has taught both privately and at festivals and master classes at the Eastman School of Music, Los Angeles Music and Art School, the Amherst Early Music, and Hawaii Performing Arts Festivals and the Albuquerque, San Francisco Early Music Society and Western Double Reed Workshop. She has also been heard on Performance Today, Harmonia and CBC radio and recorded for Chandos, Analekta, Centaur, Naxos, the Super Bowl, Avie, and Musica Omnia. Marsh has studied music and German studies at Mt. Holyoke College, The Thornton School of Music at the University of Southern California and Jacobs School of Music at Indiana University.